The future’s here and it has 8.3 million pixels. Unfortunately, you probably don’t even own a 4K TV yet. The thing is you don’t even need a super-expensive mirrorless or digital SLR to shoot 4K. Your smartphone does it, but you’re probably stuck shooting in 1080p mode. Now is the time to make the jump. There are many good reasons you should shoot your next project, whether it’s a vlog for YouTube 12 Engaging Vlogs You Need to Start Watching Today 12 Engaging Vlogs You Need to Start Watching Today If you're new to the world of vlogging and wondering where to start, or you're simply on the lookout for some new vlogs to check out, this list is for you. Read More or a cute cat video in glorious 4K resolution What's the Difference Between 4K and Ultra HD? What's the Difference Between 4K and Ultra HD? Thinking of buying a new TV or monitor but feeling lost with all of the terminology like 4K and Ultra HD? Here's everything you need to know about it. Read More . Here are six just to start you off. Just because you’re shooting in 4K, that doesn’t mean you have to work in 4K. For many projects, 1080p is good enough. The benefit of shooting in 4K is a quadrupled resolution, allowing you to zoom in cleanly since you have a much better source video to work with. This is perfect for cutting to close-ups, effectively eliminating jump-cuts from your finished product entirely. This effect can commonly be seen in single-camera interviews, where the perspective shifts between a wide full-body shot and a close-up shot of the interviewee talking. Pull it off well and it can be used for dramatic effect to add emphasis and connect better with the subject. You could take it a step further and apply a “Ken Burns” pan and zoom effect to a still shot. Imagine being able to crop or add movement to any shot you want, without losing image quality in the process. There’s no chance of you accidentally wobbling the camera, either. You can even grab fairly high resolution still images from your footage. They won’t look amazing, but they’re good enough to use on the web, as YouTube thumbnails, or even Instagram posts. Even if your end product will be 1080p, shooting 4K will deliver a higher quality downsampled image. Capturing four times the amount of information you need won’t produce an image that’s four times better looking, but the end result will be noticeably sharper. You’ll also reduce the chance of color banding, since most cameras record 4K at a higher bitrate. That means more color detail is captured, which will vastly improve gradual changes, like deep blue skies or other solid colors. Sometimes the camera makes all the difference. 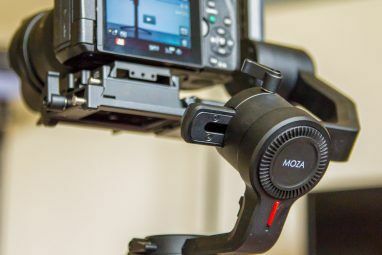 Many modern mirrorless, digital SLR, and cinema cameras shoot 4K using larger sensors, effectively downsampling a 6K or 8K image to 4K (like the relatively cheap Sony a6300, above). The Panasonic GH5 even does 6K video and 4K video at a bitrate of 400 megabits-per-second. Yes, there are many 1080p cameras that will shoot better HD footage than a cheap 4K camera. Whatever you do with your footage, it’ll probably look better if you held the camera fairly still when you shot it. Sometimes this isn’t possible, and three-axis stabilizers like the Zhiyun Crane Zhiyun Crane 2 Review: This is How You Get Silky Smooth DSLR Footage Zhiyun Crane 2 Review: This is How You Get Silky Smooth DSLR Footage It wasn't long ago that you'd need a whole crew of people, some professional know-how, and a lot of expensive bits of metal and screws to get smooth cinematic footage. Now you only need a... Read More can be pretty pricey. This is where software stabilization comes in; a feature that’s built into most modern editors. Most generally recommend avoiding software stabilization since it works by stretching the image. For 1080p productions, 4K source material will result in software-stabilized footage with no loss in image quality whatsoever. 2K (1440p), the 720p of the 4K world, is another great compromise in order to take advantage of software stabilization. You know how 720p videos look on a 1080p screen? Do you remember what every single Wii U game looked like? Well that’s what your 1080p videos look on a large 4K panel. It’s probably the biggest drawback to buying a 4K TV Why Buying A 4K TV Right Now Is A Waste Of Money Why Buying A 4K TV Right Now Is A Waste Of Money With an obvious price difference between the new generation of 4K TVs, and older Full HD models - do you really need 4K? We think not, and here's why. 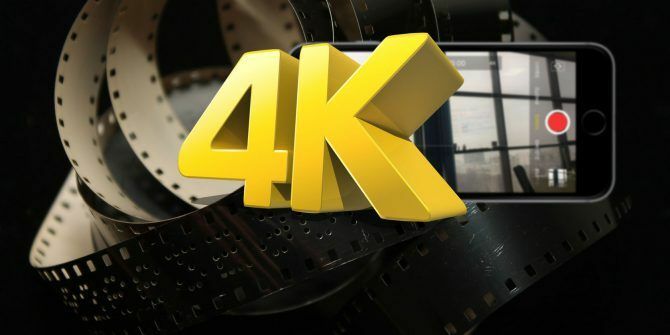 Read More : if you haven’t got anything to watch in 4K How to Find Real Ultra HD Content for Your 4K TV How to Find Real Ultra HD Content for Your 4K TV Even after all this time, genuine Ultra HD content can be tough to find -- and your 4K TV is almost pointless without it. Here's a tool you can use to find real 4K media. Read More , your existing content will probably look worse. It’s not like you’re never going to watch them again (1080p will be a relevant standard for many years to come), but you’ll wish you sacrificed disk space for image quality when you’re watching your content back in 20 years time. The HD revolution felt more immediate. It was largely driven by consoles like the Xbox 360, but we haven’t seen a huge uptake in Xbox One X or PS4 Pro console sales to drive the medium. On the flip side of this, basic cameras and smartphones have been able to shoot 4K for years now. Another reason you may be resisting jumping to 4K is increased storage demands. If you’re shooting primarily on your smartphone, the answer is simple: don’t store videos on your phone long-term. They’re probably the biggest hoarder of free space iPhone Storage Full? How to Create Free Space on iOS iPhone Storage Full? How to Create Free Space on iOS The best way to maximize your available iPhone storage space is to buy the biggest device you can afford. Too late for that? Here's how to create free space on your iOS device. Read More in your pocket, move them to your computer and store them safely elsewhere. Portable hard drives like the WD Passport and Seagate Backup Plus are also fairly cheap, and it will probably take you a while to fill up a terabyte. If you combine a few cheap external drives with a cloud backup and storage option, like Google’s Backup ? Sync or Amazon Drive, you’ll never have to worry about storage space again. If you’re really serious about video—and you want to eventually make money or more involved productions—invest in a proper storage device. Some kind of network drive with a RAID array How to Configure a RAID HDD Array in Linux How to Configure a RAID HDD Array in Linux Got spare hard disk drives that you want to use more efficiently with your Linux computer? You can with RAID, a system that can provide a performance boost, or add redundancy. 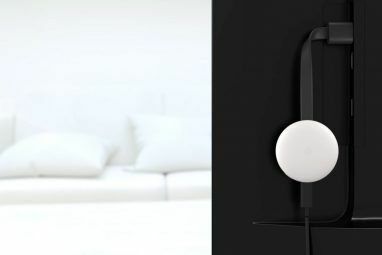 Read More and regular online backups, ideally connected via a fast USB 3.0 or Thunderbolt connection. A lack of editing grunt is probably the most legitimate reason to continue shooting in 1080p, but there are a few things you can try. It’s likely your editor will perform differently depending on the codec used. On my ancient 2012 MacBook Pro, the 4K files I shoot on my iPhone are a slideshow; but the XAVCS files that come from my Sony mirrorless play relatively smoothly. Your choice of video editor The 8 Best Free Video Editors for Mac The 8 Best Free Video Editors for Mac Need to edit video on a budget? These free Mac video editors let you perform essential video editing tasks at no cost. Read More can also play a big part. Many Mac users prefer Apple’s own tools like iMovie and Final Cut Pro since they have been designed by Apple, for Apple hardware. They are generally better optimized for macOS than their Windows counterparts. Windows users will have to conduct a little trial and error to find the video editor The Best Free Video Editors for Windows The Best Free Video Editors for Windows Everyone takes videos these days. Yet powerful free video editors remain rare. We present the absolute best free video editors available for Windows. Read More that runs best on their particular setup. There’s also the small issue of budget. If you’re lucky enough to be using a professional editor like Adobe Premiere Pro as part of the Creative Cloud suite, you can make use of a feature called proxy editing to create lower-resolution versions of your 4K files for editing. This will allow you to edit huge resolution files with relative ease, and Premiere will replace your files with the 4K source files for the final render. Restarting your computer, then opening only your video editor. Disconnecting external displays, since driving another monitor will tax your GPU. Copying your files to your fastest local drive, ideally an SSD if you have one. Connecting to power if you’re using a laptop for editing. When you do finally take the plunge on a new machine that eats 4K for breakfast, you’ll be glad you have some footage to play around with. Make the Switch Already for 4K’s Sake! If it feels like 4K has been around for ages, that’s because it has. The benefits of a 1080p image were clear as day to an audience raised on VHS tapes and standard definition broadcasts, but 4K doesn’t seem like quite such a captivating jump. Regardless, don’t resist the change. Buy a few spare hard drives and embrace ultra high definition What's the Difference Between 4K and Ultra HD? What's the Difference Between 4K and Ultra HD? Thinking of buying a new TV or monitor but feeling lost with all of the terminology like 4K and Ultra HD? Here's everything you need to know about it. Read More . In 10 years’ time we guarantee you’ll be glad you did. And if not, you can come back here and inform us we were wrong. Explore more about: 4K, Filmmaking, Record Video.